Magnetic, autoclavable bur blocks with non-slip feet for stability. Accepts FG, RA and HP burs. 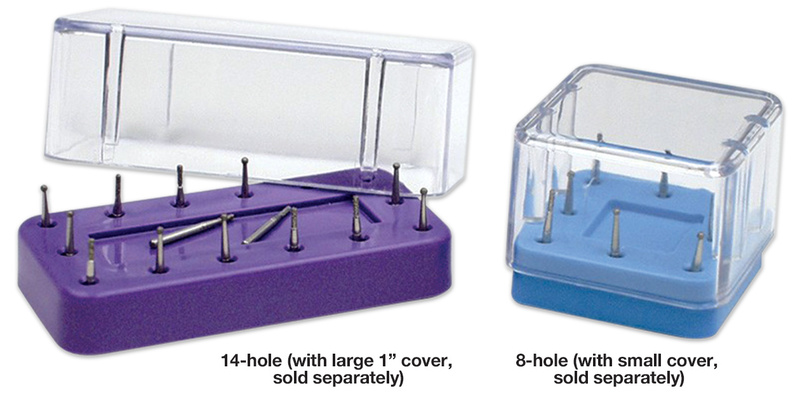 Clear covers (sold separately) maintain cleanliness of burs while being stored in the bur block. Covers cannot be heat sterilized. Made with antimicrobial protection.